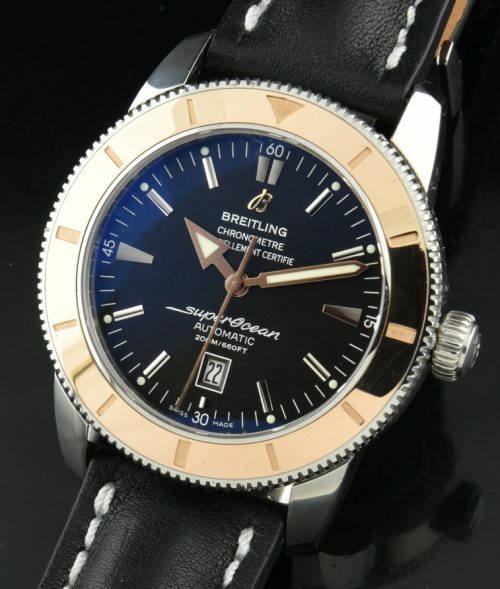 This BREITLING Super Ocean is a modern watch and we have priced it to save you a bundle. The large 46mm. steel case features a solid rose gold turning bezel. The original band and BREITLING buckle are present. The watch has a screw-down crown and sapphire crystal. The pristine dial is black-just a crystal reflection in my pictyre. 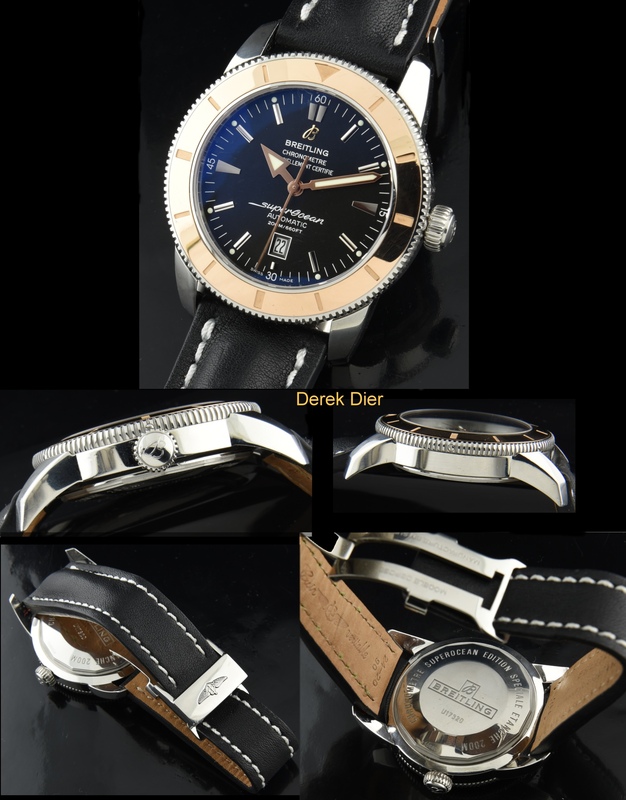 his is a stunning watch at a great price.